Community groups in Tweed, Byron, Lismore and Gold Coast are collaborating to have a rally and march at Tweed Heads on Rise for Climate Day. Our purpose is to demand our local leaders commit to building a fossil free world that puts people and justice before profits. We need a fast, fair and just transition to 100% renewable energy and an immediate end to new fossil fuel projects. 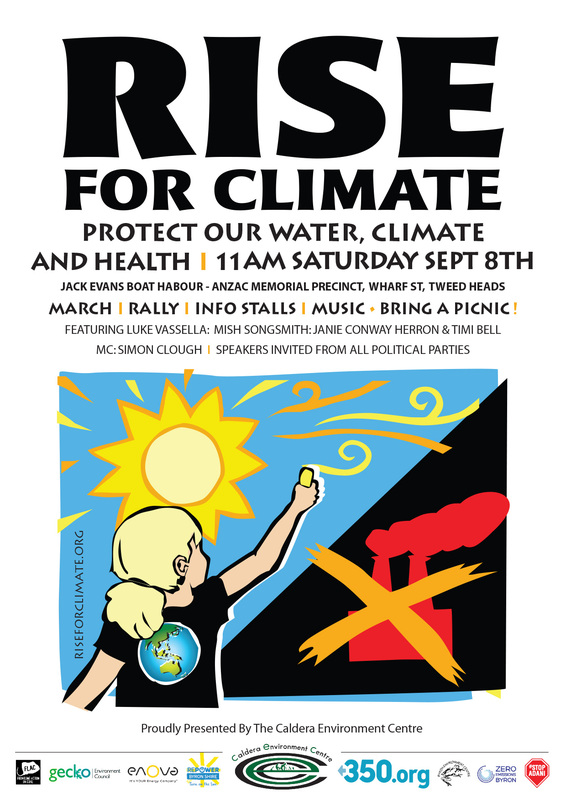 Hear speakers and music, get information from local community groups and join the march. Bring the family, a picnic and sun protection.